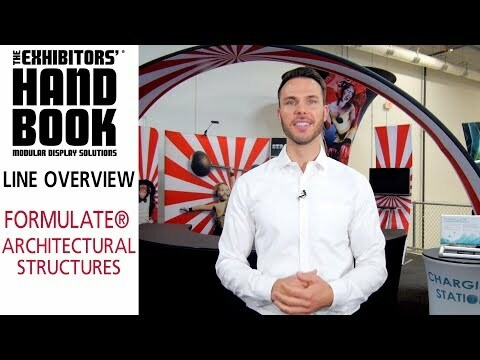 From funnels, arches, towers, and conference walls to video walls and fabric rooms, Formulate® Architectural Structures are designed to impress. With plentiful space for branding and messaging, these structures provide an easy way to captivate audiences at trade shows, events and in permanent environments. These tension fabric structures can provide a solution for any display. Whether creating meeting spaces to improve sales & leads, adding a display for multi-media messaging, or adding a towering structure to attract attention from across a trade show floor, any display can benefit from the additional functionality of these structures provide. Browse the many ways to add WOW to any space!